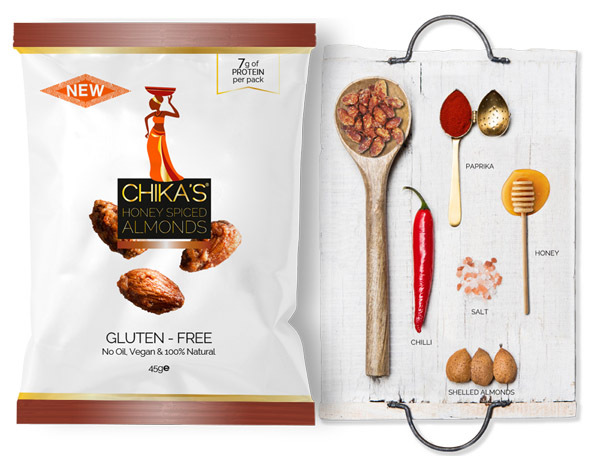 Inspired by West African heritage, Chika’s snacks are a healthy, tasty range of munches. There’s not many people who knock back an offer from Dragon’s Den and go on to succeed, but London based Chika Russell did exactly that. 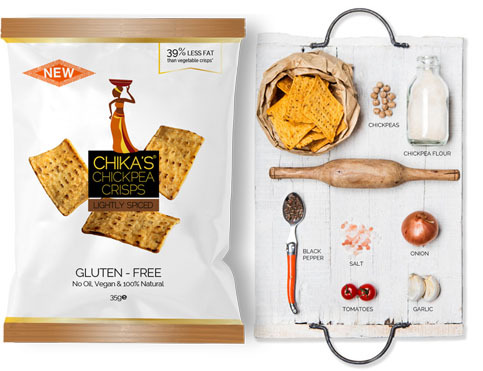 Two years on, Chika’s is now launching a new range of snacks exploring an Adventure in Taste. The range of Chika’s snacks sent to me include almonds, cashews and chickpea crisps, all either smoked, spiced, or honeyed. Everything is made with absolutely nothing artificial, baked gluten-free, lower in salt and fat and are veggie/vegan too. We have sweet and spicy Honey Spiced Almonds, Chilli and Lime Cashew, Smoked Almonds and Lightly Spiced Chickpea Crisps. All natural ingredients and boasting 33% less fat than vegetable crisps, they’re good for anyone watching their waistline, or with a healthy diet. I don’t know much about Nigerian food, but I do recognise a good blend of spices when I taste them. Chika’s snacks have a well pitched balance. I was practically licking the packet when I finished the Smoked Almonds. I did a poll on the ladies at my work with Chika’s Lightly Spiced Chickpea Crisps. They were seriously won over and I did well to get the packet back with any left in it. It’s fair to say they made a couple of new, very impressed fans with these crisps. Chika’s Honey Spiced Almonds are simply the nicest snack I’ve had in a long time. Sweet, spiced, just the right amount of sticky and bloody delicious. These snacks have spoiled crisps and plain nuts for me now. 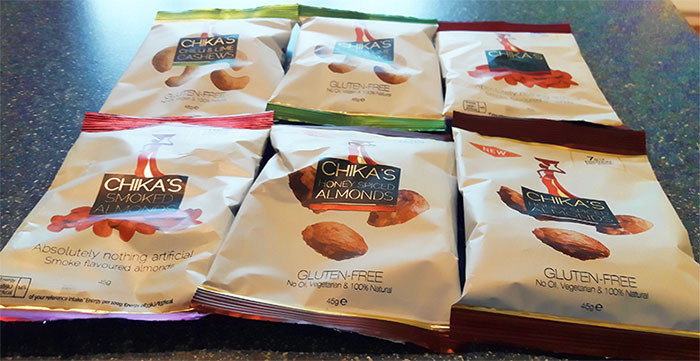 If you’d like to check out Chika’s for yourself, you can find a retailer near you and treat yourself to a natural, oil-free, amazing snack!